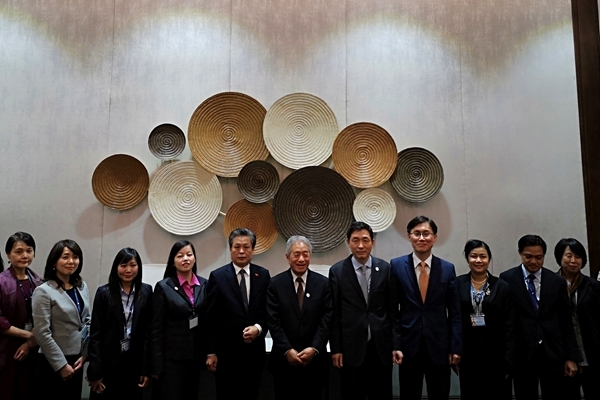 On 18 January 2019, the 12th Meeting among secretaries general of ASEAN-China Centre (ACC), ASEAN-Japan Centre (AJC) and ASEAN-Korea Centre (AKC) was held in Ha Long, Viet Nam. The meeting was presided over by H.E. Mr. Masataka Fujita, Secretary-General of AJC. H.E. Mr. Chen Dehai, Secretary-General of ACC and H.E. Mr. Lee Hyuk, Secretary-General of AKC and Dr. Aladdin D. Rillo, Deputy Secretary-General of ASEAN Secretariat participated in the meeting. Secretary-General Masataka Fujita highly commended the significance of close exchanges and cooperation among the three centres. He briefed on the priorities and philosophy of AJC’s work at present. 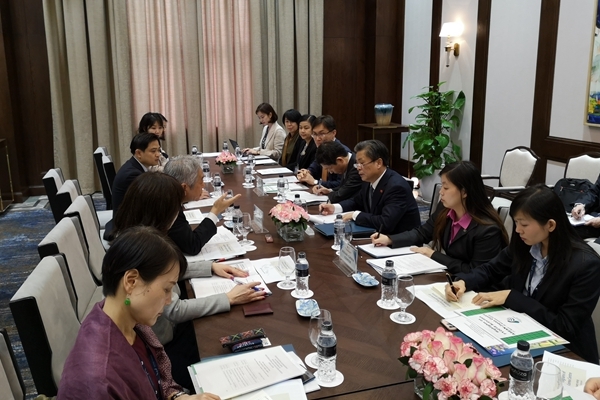 He said that AJC would endeavor to better combine the development requirements between Japan and ASEAN member states to implement more productive programs and activities in areas of trade, investment and tourism. AJC would continue to keep close communication, tap potentials and expand cooperation with ACC, AKC and ASEAN Secretariat. Secretary-General Chen Dehai briefly introduced the new progress of the ASEAN-China relations and ACC’s achievements in 2018. He elaborated that in connection with the 15th Anniversary of ASEAN-China Strategic Partnership and the ASEAN-China Year of Innovation, ACC totally carried out 21 flagship projects and organized series of rich and colorful activities which were warmly welcomed by China and ASEAN countries. In 2019 ACC would continue to promote bilateral practical cooperation centering on ASEAN-China Year of Media Exchanges and the key areas of cooperation. He wished to enhance communication, experience-sharing and mutual learning with AJC, AKC and ASEAN Secretariat to jointly push forward regional development and prosperity. Secretary-General Lee Hyuk attached great importance to strengthening exchanges and cooperation among the three centres. He stated that AKC was committed to taking the 10th anniversary of its establishment as a new starting point to forge ahead with innovative spirit to uplift the friendly relations between the ROK and ASEAN countries to a higher level. He also hoped that the three centres would continue to keep good interaction and promote mutually beneficial cooperation among ASEAN and the plus three countries. 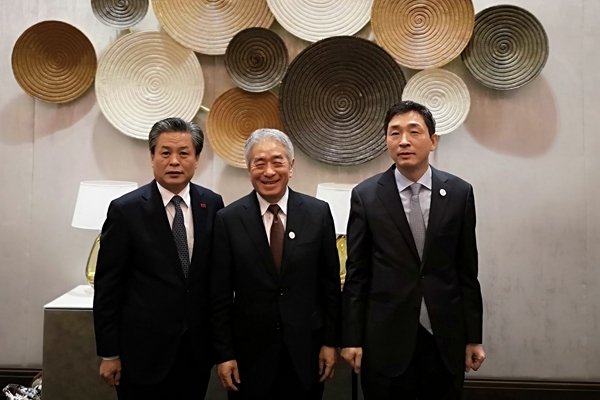 At the meeting, the three centres approved the overall plan for tripartite cooperation in 2019 and discussed the arrangements for the coming 13th tripartite secretaries general meeting. Deputy Secretary-General Aladdin D. Rillo expressed his appreciation to the contributions of ACC, AJC and AKC to promote APT development and cooperation. He said that it was the first time for representative from ASEAN Secretariat to participate in the tripartite meeting, which fully showed that ASEAN attached importance to and supported the three centres. The work of the three centres has brought benefits to people in ASEAN and the three countries with wide influence. He hoped that the three centres could enhance coordination and communication among each other and with the ASEAN Secretariat, explore cooperation in such areas as digital economy and comprehensive research, contribute more good ideas to ASEAN’s development and foster further and continuous development of APT relations.